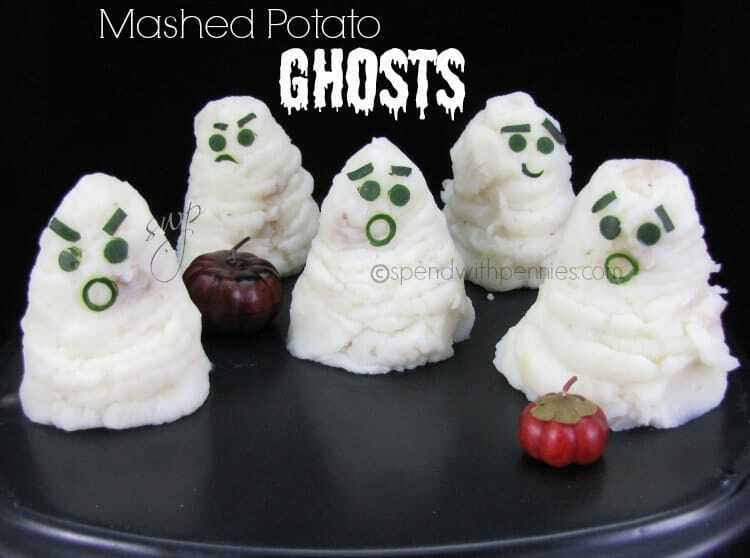 These little guys are SUPER easy to make and just a cute addition to Halloween dinner! You can pipe them directly onto the dinner plates if your potatoes are hot or even on top of sloppy joe meat or taco meat in a bowl! 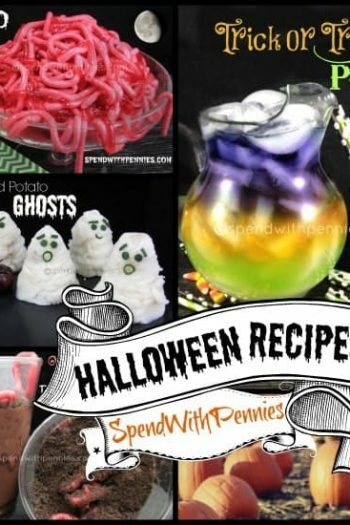 I used thin zucchini strips for the ghost’s faces but you can use any dark veggie, seeds, olives.. or whatever you have on hand! I actually left the skin on my potatoes as I used yellow potatoes. The skin becomes very soft and can mash in quite easily. If making potatoes, wash and peel potatoes. Cut into large chunks and boil 15 minutes or until fork tender. Drain well and add butter and sour cream. Mash potatoes adding milk a bit at a time until desired consistency is reached. 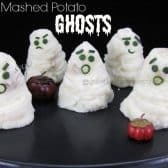 You don't want your potatoes too soft for this recipe so your ghosts can "stand up". Place potatoes in a large Ziploc bag and snip off the corner. Pipe Ghost shapes onto a parchment line pan. If your potatoes have cooled, you can bake them for 10-12 minutes at 350 to heat them up, if they are already warm, you can pipe them directly onto the plates. For eyes and mouth, using a veggie peeler or carrot peeler, peel a thin strip of dark peel off of your zucchini or eggplant. Cut eyes out with a straw. For the mouth I used a large thick straw and then a smaller straw to cut our the hole in the middle. Cut very thin strips for eyebrows. What a cute idea, thanks!